Introducing Chambor's Eye Definer - an ultra pigmented smudge proof matte finish eyeliner that delivers intense colour pay off in just one swipe. The rich color pigments offer the most intense color while its uniquely shaped fine tip applicator allows for precise shaping and defining of the eyes. Explore the entire range of Eyeliner available on Nykaa. 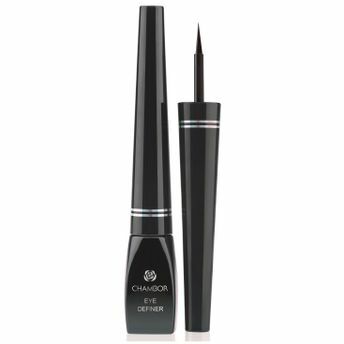 Shop more Chambor products here.You can browse through the complete world of Chambor Eyeliner .Alternatively, you can also find many more products from the Chambor Eye Definer range.